Fused Silica has superior spectral transmission characteristics, extending further into the ultraviolet and Infrared wavelengths. It has very low coefficient of expansion and is resistant to high temperatures. You can use these fused silica windows to protect heat from sensitive elements. It is a very hard material to scratch so it offers good protection and will last a long time. ​Fused Silica is a completely different material than quartz. It has an index of refraction of 1.46 versus 1.55. It has no crystalline structure and is not birefringent like quartz. ​This is an extremely stable thermal material. It can be used also for substrate materials for UV instruments and mirror and windows that are very sturdy. Fused Silica is also used where very precise reflecting surfaces are required since it’s so stable. UV fused silica Windows are offered in normal and custom sizes starting from 1/4″ to 5″ round and square or rectangular sizes or any form you need. 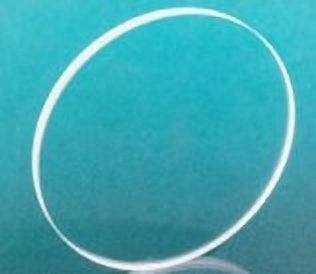 Stock fused silica window thickness from .040 through 1 inch.UV-grade fused silica is intended for applications that benefit from higher transmission further into the ultraviolet light than N-BK7. ​ We offer High Precision Windows fabricated from different substrate materials. We can make custom produced fused silica optical windows for a large variety of applications. If you do not see the dimensions you wish listed we are able to manufacture your custom size.